No SEO campaign is complete without a solid linkbuilding strategy. And when it comes to links, more is always better. But one factor that is often overlooked by many is the quality of the links generated. The problem is that many of us have focused on creating links through link farms or purchasing these that we end up with hundreds of useless links. Some would say that getting links from a website with high Page Rankings can give better links. But this is only half the truth. In my opinion, getting backlinks from a site with a good Google Page Rank of the same niche is better than just focusing on any website with a high PR. If you’re trying to create links for your sporting goods website then creating backlinks from sports related websites is a good place to start. Focus on websites that are highly relevant and not just look for keywords to use and link with. 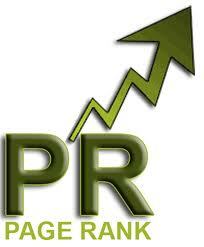 Ideally, the best places to get links from are those located in the first pages for targeted searches. 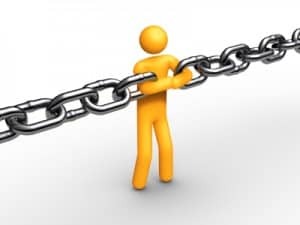 Getting links from direct competitors who are higher up the ladder may be impossible but there are other sites who could give you similar high quality links. If you’re targeting specific searches for your blog for example try to look if the website you’re trying to place links on figure anywhere near the first pages. Google still remains to be the biggest name in search engines and any information coming from Big G still counts for something. Some may be skeptical about Google’s Page Rank but using it doesn’t hurt either. The name of the game is to get as much juice going to your website. And a large part of how Google looks at the quality of links is based on where these come from. You should also consider where you place these links in the article. Guest posting for example allows guest bloggers place links within the content and the author bio. Links located at the first paragraph and main body of the content are great places to create links. Just like keywords, search engine spiders focus its attention at the first paragraphs of the content. What you use as your anchor text also plays a large role in determining the quality of your link. Using your target keyword for example is the best way to create the anchor text. This helps you rank higher for certain keywords while improving link quality.